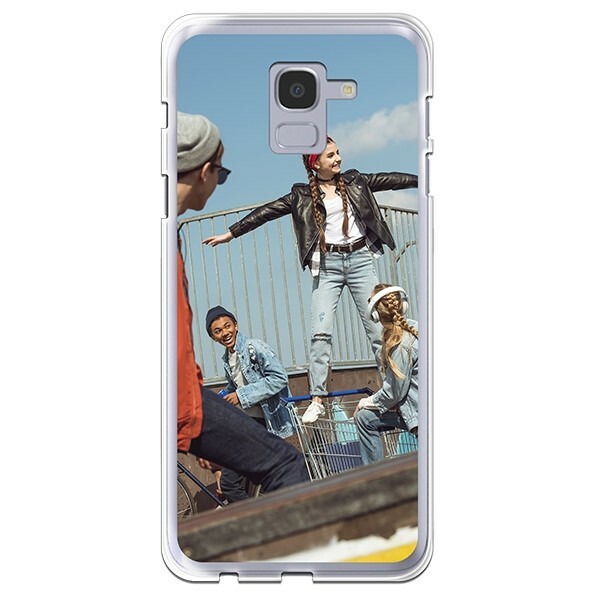 Be original and create a Samsung J6 personalised case with your favourite picture! Show off your style and your creativity, make your own Samsung J6 case now! Design your own Samsung J6 silicone case for the most efficient and stylish protection! The personalised silicone case is made for you! Are you looking for the most unique and stylish protection? At GoCustomized.co.uk, you've come to the right place! 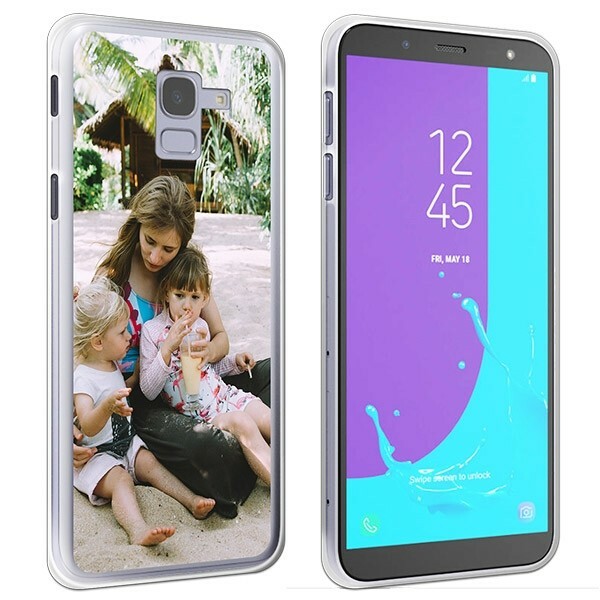 With a Samsung J6 personalised case in silicone, you will protect your phone efficiently, without sacrificing the design and the way of using your Samsung Galaxy J6. Our personalised silicone cases have been made out of a strong shock-absorbent material to protect your phone in every situation and fit perfectly on your device without making it bulkier. Furthermore, you will be able to arrange it at your convenience and design it with your favourite pictures. Get started now and make your own Samsung J6 personalised case! No need to be a designer! 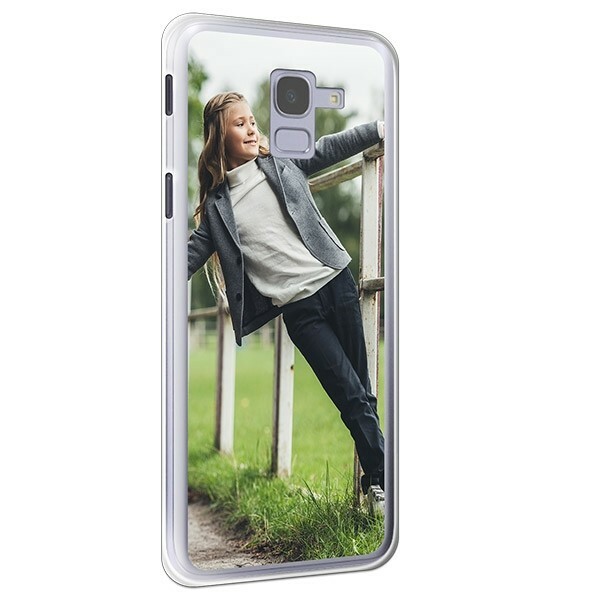 Thanks to our user-friendly customizer, designing a Samsung J6 personalised case is child's play and will only take you a few minutes! Start by uploading your favourite picture from your computer or your phone. You can even access your Facebook or Instagram accounts and use your own photos! If you feel like making a collage, change the layout of your case and include your favourite memories. Add some effects, a quote or some stickers and you are done! In lack of inspiration? Choose our premade designs and templates to help you make the most stylish personalised phone case! Done with your Samsung J6 personalised case? Then you can proceed to the checkout! Fill in your address, choose your shipping and payment method. Don't forget to double check all of your information to make sure you didn't make any mistake. Everything ok? Then proceed to the payment and voila! If you have placed your order before 3 pm, we will print your case almost immediately and ship it as fast a possible. Our team of printing specialists will make sure to print your case exactly as you designed it! Any issues or questions? Contact us at support@gocustomized.co.uk, we'll be happy to answer your queries.